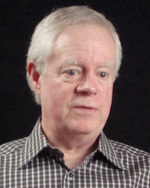 Frank Blethen, publisher, The Seattle Times, believes dire predictions about the collapse of newspapers are unfair and lack context. “Name me a business that is not at risk or uncertain,” says Blethen. He also believes that newspaper careers offer a key upside – “It’s one of the few places you can go today that has a public service mission,” says Blethen.